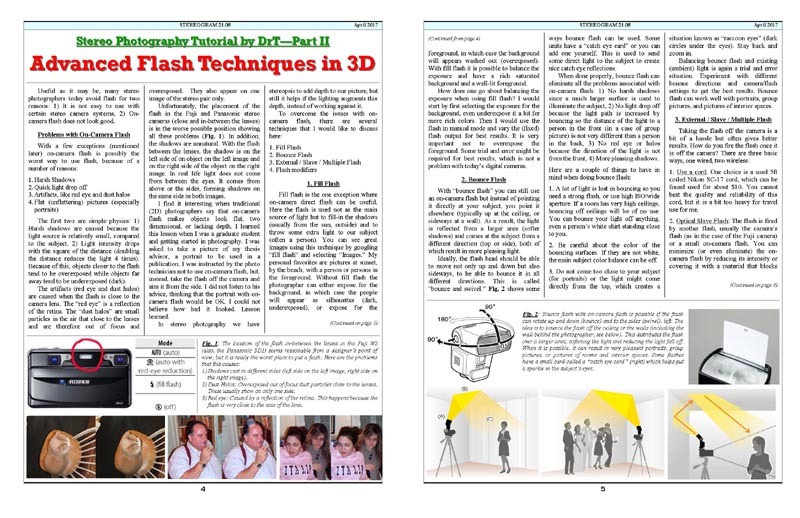 It is published 10 times a season (from September to June) and distributed by email to members and subscribers. 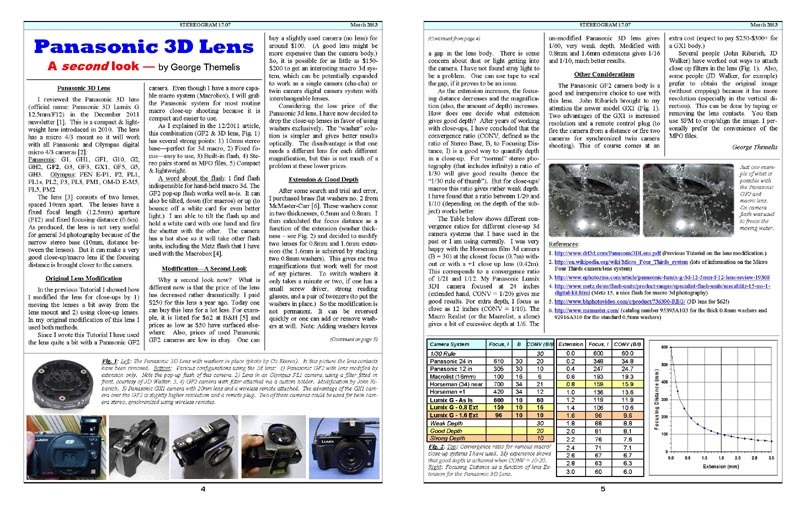 It usually has 8 pages of stereoscopic information. This includes: A President's Message (covering a variety of topics), Club and local 3D news, Competition results plus award-winning images. 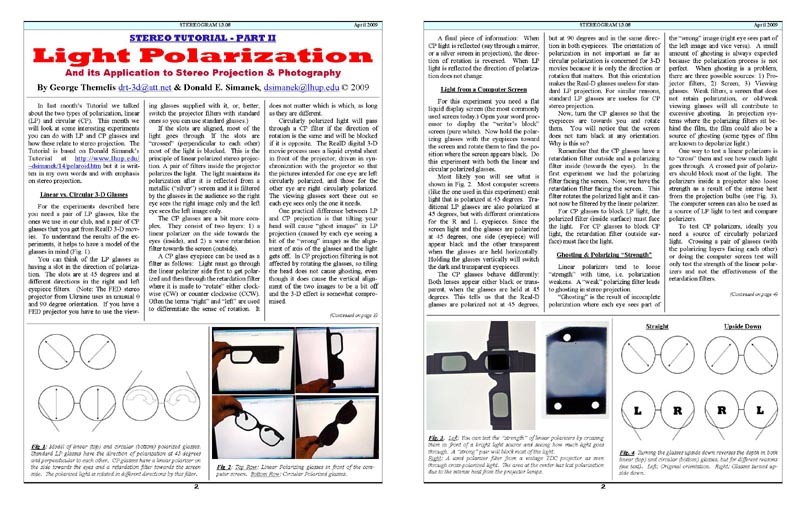 In addition, there is usually a Tutorial on various aspects of stereoscopic photography. There are also interviews with club members and other stereo personalities, reports from NSA Conventions, 3D Weekends, etc. 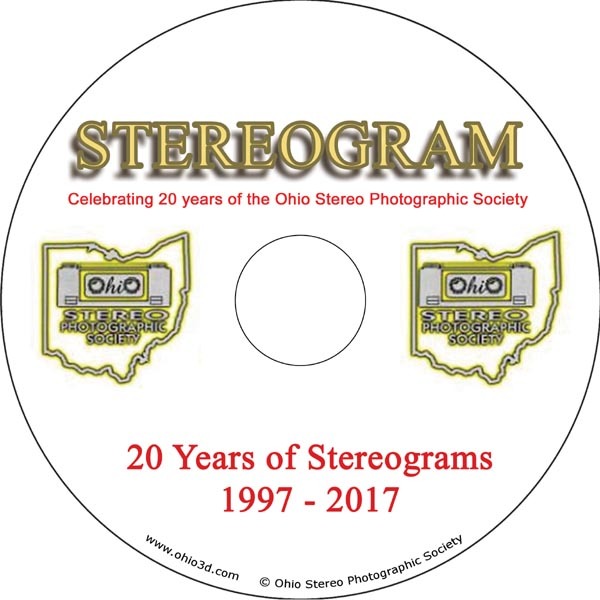 OSPS Members get the Stereogram for free as part of their membership. Subscribers pay $10 for a full season (10 issues, from September to June). 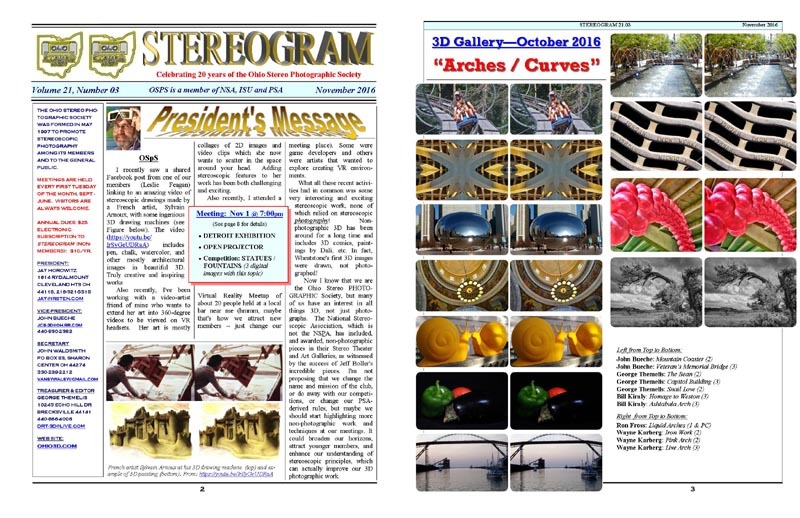 In addition to subscriptions, we offer a CD with all the Stereograms published in the first 20 years of our club (May 1997 to June 2017), a total of 202 newsletters or around 1600 pages. The cost of this CD is $35. If you buy the CD, you can take $5 off a subscription or $10 off a membership. Note: Choose membership only if you are planning to attend meetings. Otherwise, subscription is more appropriate. For family memberships, add $10 for any additional family members. Any amount above these will be considered a donation. Put a note with your payment to explain the amount you are paying. We usually respond within 24 hours to confirm any orders. 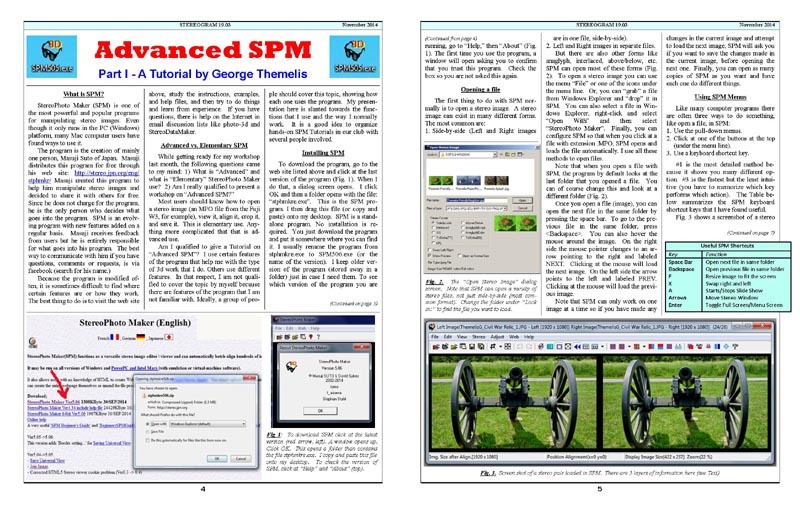 This CD contains all the newsletters published published from May 1997 to June 2017, and cover a variety of information, from film cameras to digital photography. 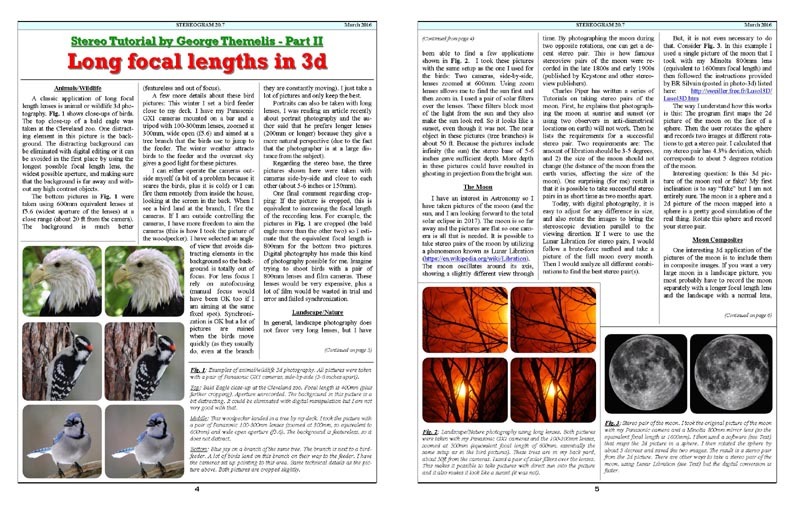 The snapshots below show some selected pages. The complete Table of Contents in at the bottom. We guarantee that you will spend many hours studying the contents of this CD. Just think about it: If you read one newsletter a day, you need 202 days to read all the newsletters! Some of the areas that we have covered extensively: Stereo Realist, Stereo Composition, Stereo slide mounting, Hyperstereos, Macro & Close-Up stereo, Flash in Stereo, Single camera stereo, twin camera stereo, and many others. "I have called this newsletter Stereogram, from the Greek words στερεό (solid, three-dimensional), and γράμμα (letter, as in telegram, etc.) 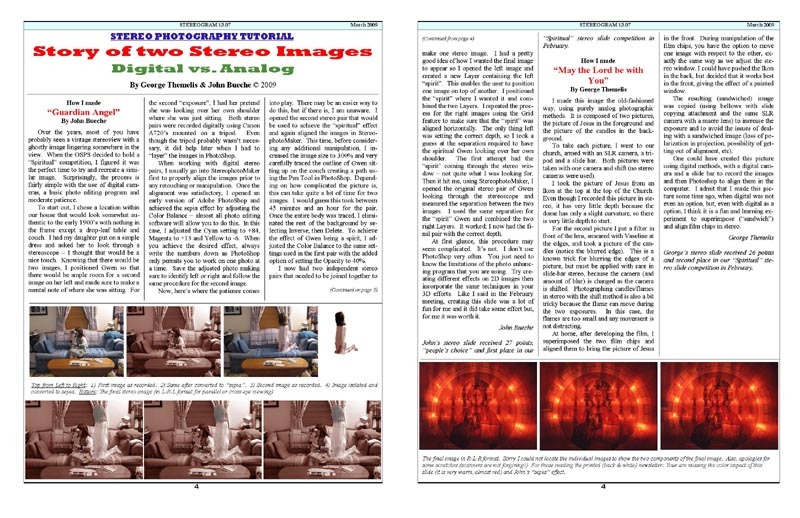 So, this is a letter about stereo photography. […] The newsletter should summarize and highlight the activities during the last meeting, present news and information of interest to the club, and give details about the following meeting, motivating the club members to attend. I see the newsletter as a source of information and entertainment, something to look forward to, something that partially justifies the cost of the membership." 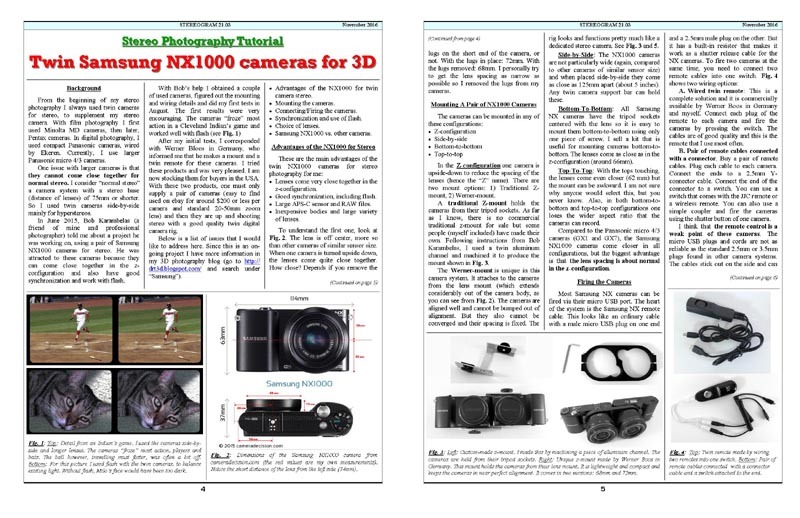 I hope that you enjoy this collection of newsletters. 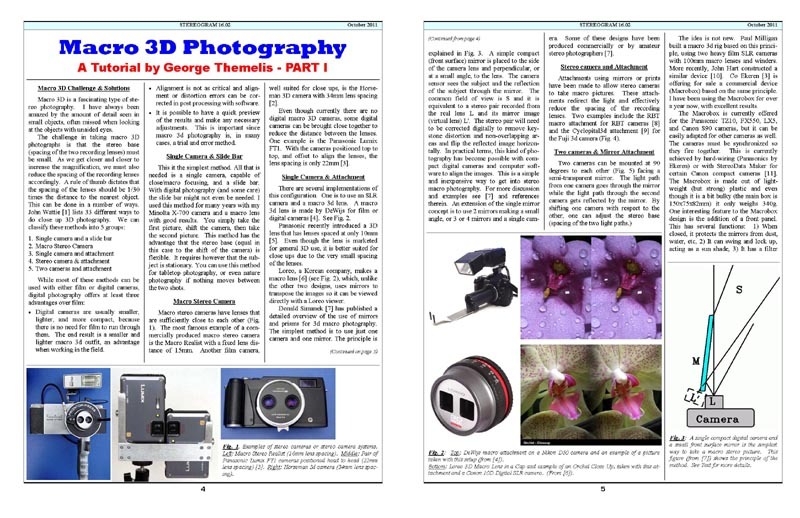 For our club members, in addition to being a source of information about stereo photography, they are also a source of the history of our club. 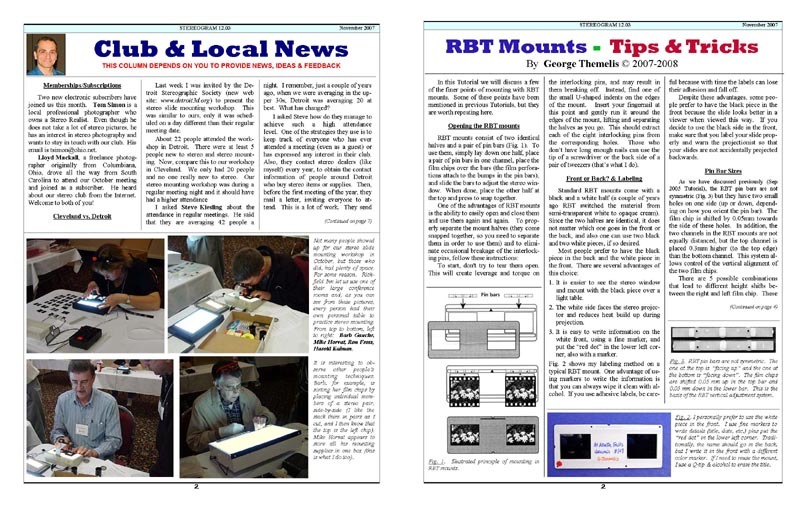 If you enjoy the newsletters, consider subscribing to our newsletter. 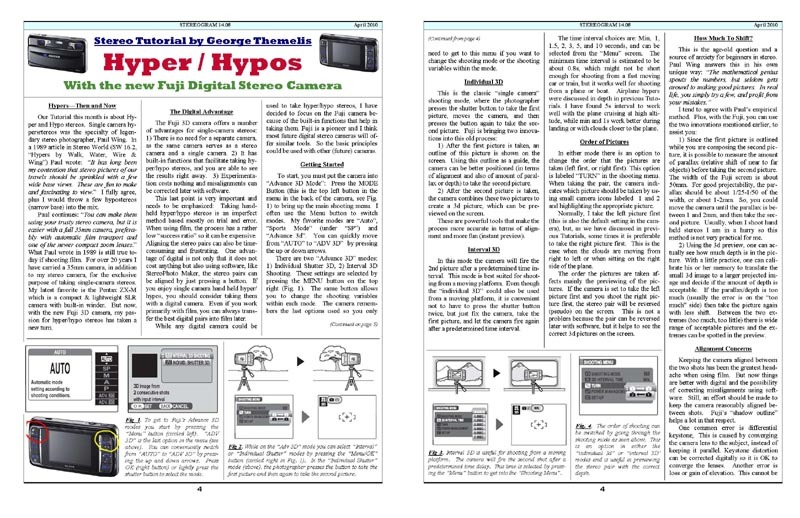 Thank you for purchasing this CD and best wishes for success in your pursuit of stereo photography! 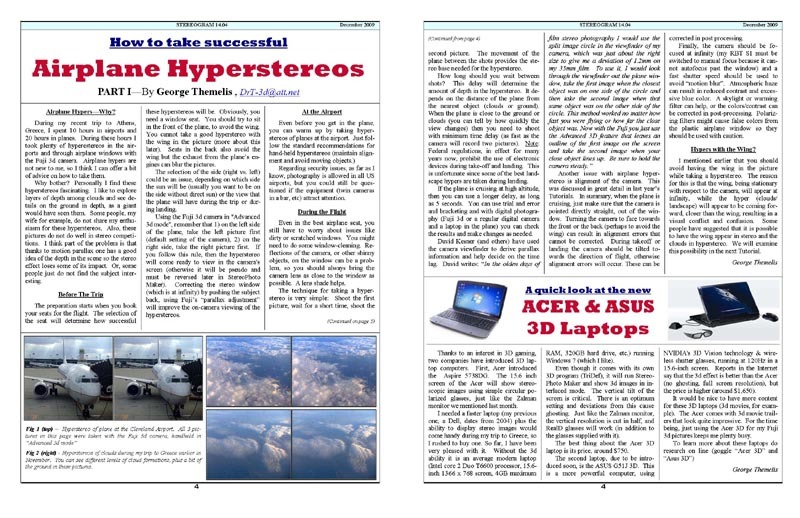 Hyperstereos, You can Take them too! Loreo, Loreo, Wherefore Art Thou, Loreo? It’s Here it Stay: COMPUTER 3D! 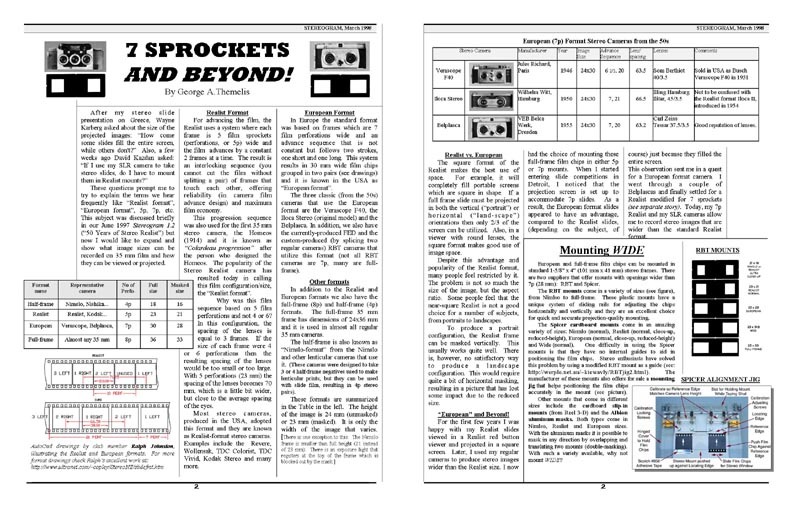 Don Peck in Stereo World! Which Camera Took This Picture?